Morocco can be considered as one of the most colorful, chaotic, intense and a fragrant destination available out there in the world for you to visit. Morocco is full of adventure and awesome things to see and eat. 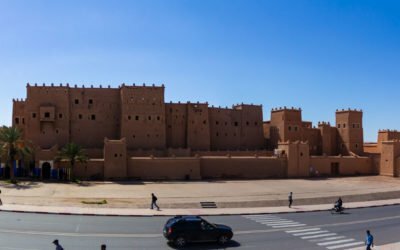 Hopefully this Morocco travel guide will help you plan the journey accordingly, so that you will be able to end up with the best possible experience in Morocco. September and October months are identified as the best time of the year available for the interested people to visit Morocco. You will love the unique and fascinating experience that you will be able to get during these months as the weather is cooler and the crowds aren’t as big. In addition, you can also go there during the summer months, which range from June to August. However, the weather is pretty hot and you will need to keep the fact in mind before you visit. Most of the people prefer to come to Morocco by air. The three main airports for tourists in Morocco are located in Marrakesh, Casablanca, and Fes. Many budget airlines fly to all three destinations form Europe. If you are a person who visits Morocco from North America, you will likely have to go through a European hub city such as London or Madrid. Also, expect long lines when coming in and from customs. Also, make sure you have all your paper work filled out prior to entering any customs line. Train can be considered as the best method available for you to get around in Morocco. The trains in the country are easy, inexpensive and comfortable. You will be able to get to all the major cities in the country by train. You will not have to spend a fortune on it as well. In addition to the train, you can also think about using the bus to get your transportation needs. The buses are relatively inexpensive as well. However, the trains are faster when compared to the buses. We would not recommend renting a car and driving as it can be extremely stressful due to aggressive drivers, narrow streets and the high rates of auto accidents. 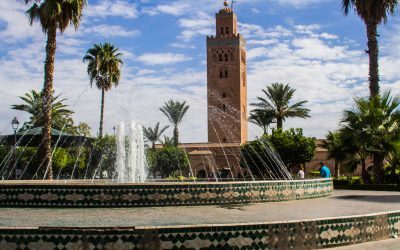 Marrakech – Marrakech is well known around the world as the pink city of Morocco. It is one of the most beautiful cities found in Northern African region as well. It provides the opportunity to experience the breathtaking views, explore the unique architecture, eat great food and have a great shopping experience. Asilah – Asilah is one of the most beautiful seaside towns located in Morocco. Asilah has a rich history, which dates back to the 16th Century. Asilah is known for being able to take a look at the history of Morocco and it’s rich culture. Chefchaouen – Chefchaouen is a town, which is located in the northern region of Morocco. It has become extremely popular for the blue colored houses. Since the town is located in a mountainside, you will be able to find unique buildings in each level. Fes – Fes is the second largest city in Morocco and it has become a popular destination among tourists. The unique charm offered to the tourists by Fes has contributed a lot towards it’s popularity. You will be able to discover two ancient medinas in Fes as well. Tangier – Tangier has a unique mixture of Moroccan and European culture due to it’s close proximity to Europe. Tangier has been a huge destination for artists, musicians, poets and writers for many years. Ifrane – Ifrane can be considered as one of the most surprising cities that can be found in Morocco. That’s because it has got Moorish architecture and a large number of desert villages. You can even ski in the winter here! Customs and Immigration lines are long and slow. Keep in mind that the customs and immigration will take a long period of time to process their work both for entry and exit. They also assign you with a number which I was told tracks you during your stay in Morocco. Give yourself some buffer time for customs. When you are leaving from an airport, it is better to come well in advance, with all the required exit documents filled properly. Cell phone service is spotty. For most of the US mobile carriers, the cell phone coverage in Morocco is limited and if it is available it’s really expensive. You will need to think about getting a local mobile phone or sim card on arrival or just be prepared to only have wifi and use something like WhatsApp. Keep cash on you. Morocco can be considered as a country, which has a cash based society. They usually won’t take credit cards and if they do there will likely be an added fee. You will not be able to find ATMs everywhere either. So when you do see an ATM and you might need cash you should probably go ahead and take some out. Try to keep enough cash on hand at all times. Download offline google maps. To get assistance with navigation, it is a good idea to download offline maps with Google Maps to your phone. Then you will be able to use offline navigation and find your way. It even works decent in packed cities with small ally ways like Marrakesh. Don’t Drive in Morocco. Just save yourself the headache and hire someone to drive you around or take a train if needed. The roads are narrow and sometimes dangerous, the local drivers are aggressive and there are a lot of accidents. Bring Imodium. If you are a person who gets stomach issues due to the consumption of foreign food or liquids, you need to bring in Imodium along with you. Literally everyone I know who has been to Morocco has a story about someone getting a stomach bug and being miserable. I would go ahead and bring some just in case even if you don’t have stomach issues. Moroccan dirham is the currency unit that is being used by people in Morocco. A USD will cost around 10 Moroccan dirhams. To enjoy a night at one of the three star hotels, you will have to spend around 600-800 Moroccan dirhams ($60-80). A decent to good riad would be about 800 to 1000 dirhams ($80-100). A car can be rented for 250 Moroccan dirhams, whereas you will be able to take the train or bus for your transportation needs under 50 Moroccan dirhams. For an average meal, you will need to spend around 75-100 Moroccan dirhams out of your pocket per person. You can of course find cheaper and more expensive places. Trains and buses are really affordable in Morocco if you need them. Taxi’s are also pretty cheap. You can usually get around the city for around 40 dirham. Any person who wants to experience the best of beauty in Morocco should visit Atlas Mountains. It provides people with the opportunity to get closer to the natural environment as much as possible. During the journey to the top of the Atlas Mountains, the guests will be able to come across a large number of scenic viewpoints as well. Ouzoud Falls is the highest waterfall found in Northern Africa. For a lot of people Ouzoud Falls is a must see. However, it will not be easy to get to Ouzoud Falls with public transport. So, you will have to hire a driver or go with a tour group. It is also possible to go on a boat ride while experiencing Ouzoud Falls. 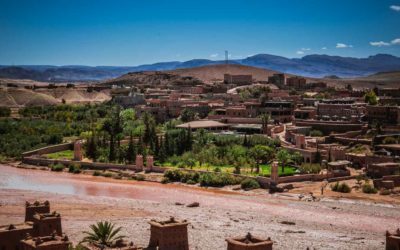 A tour of Ouarzazate is an excellent day trip from Marrakech available for the guests to explore Morocco from a unique viewpoint. The city is often referred to as the gateway to the Sahara. It’s also the home to numerous filming locations for movies such as Lawrence of Arabia, Babel and more. The Ksar Ait Ben-Haddou has been a UNESCO world heritage site since 1987. The fortified city is a great representation of southern Moroccan architecture. It is also the home of many tv/filming locations such as Game of Thrones and Gladiator. If you have made it all the way out to Marrakech or Fes it wouldn’t be complete without making a trek into the Sahara desert. There are many ways to do it but if you want to do it in comfort there are many companies that offer overnight, 3 and 4 days trips into the desert with basic or luxury tent options. It’s a very unique experience and it great to disconnect for a while. If you are on the mobile app please tap here.